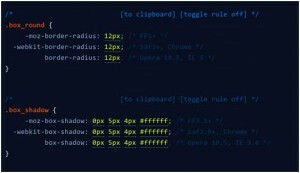 CSS3 is being used by most of developers and designer. It is on the top of popularity now days. But still there are some who don’t know about CSS3 or finding their ways to learn it. It happened due to its incompatibility of supporting all browsers. But if you are one of those who just have started using CSS3 or a professional looking to be more productive using CSS3; here are some tool that you will definitely find useful. 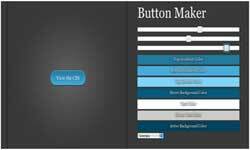 The CSS3 Button Maker gives you a large amount of sliders and color pickers which fits your own style of CSS3 button. You can use this code in your own projects. 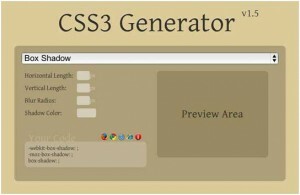 CSS3 Generator is a tool in which you can fill parameters which you want and generates a code without any trouble along with live preview. CSS3 Please! Is a tool which allow you to make various CSS3 tricks and view their live previes. After that you can copy this code for your use. 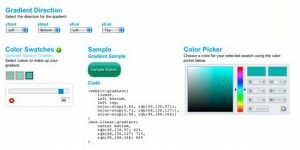 If you want to generate a gradient in CSS then this is right tool for you which allow creating CSS based gradient. CSS3 Transforms allow you a bunch of sliders having various transforms. They also generate corresponding code. CSS3 Selectors Test automatically runs a huge number of small tests to determine that your browser is compatible with a numbers of CSS selectors. There is almost everything to test your compatibility in browsers with CSS selectors.